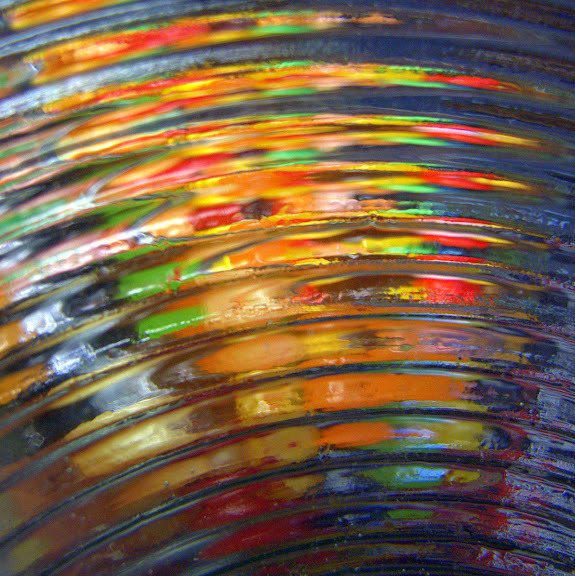 - My jelly bean jar as seen through a ridged glass bowl. Canon G11, 1/250 sec @ f/2.8, ISO 800, in macro mode. I thought maybe you visited the psychedelic lighthouse. Nice shot!